Sound Transit CEO Peter Rogoff received a three-year contract renewal and an 11 percent raise Thursday — to $365,000 a year — as board members called him the right person to steer its massive expansion program. Board members voted 14-1 to approve the 37-month deal, which Rogoff signed afterward. It takes effect this Dec. 1. Pierce County Executive Bruce Dammeier, a majority of whose constituents opposed the ST3 tax increase in 2016, cast the lone vote against boosting Rogoff’s pay. Just eight months ago, Rogoff was at risk of being dropped, after an investigation into staff reports of abrasive management, profanity and sexism during his first few months in Seattle, after arriving here from the Federal Transit Administration at the start of 2016. He was denied a 2017 performance bonus and currently makes $328,545. The proposed 2019 pay increase was based on a consultant’s comparisons with peers including Dallas, Los Angeles and Portland transit agencies. Besides his salary, Rogoff would receive a $24,000 annual contribution into a retirement fund, and possible merit bonuses. The ST3 vote added eight rail projects and two bus-rapid transit lines, bringing estimated spending to just over $90 billion for the coming 25 years, or $2.4 billion in 2019 managed by Rogoff. Seattle Mayor Jenny Durkan has changed her views, since she voted March 1 against giving Rogoff a chance to recover through a performance-improvement plan. 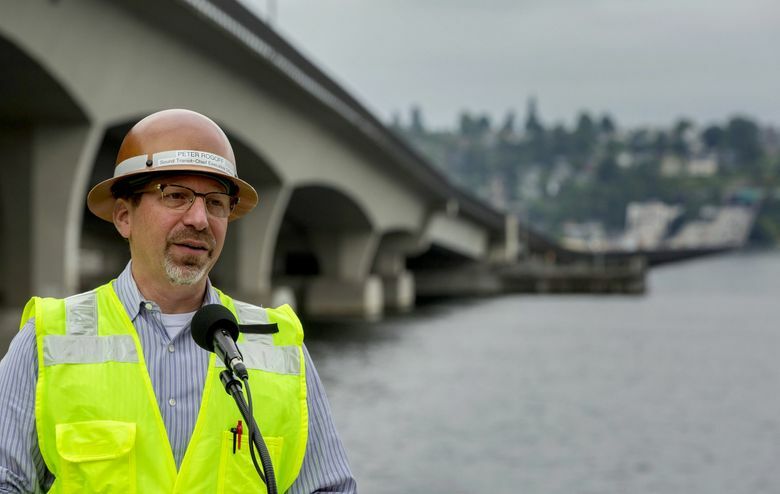 “We have had just a year to work together now and he has been extremely collaborative, as well as the Sound Transit staff,” Durkan said Thursday. That is a high-stakes relationship as the agency considers additional tunnels, which probably would require Seattle tax increases, to satisfy communities in West Seattle, the Chinatown International District and Ballard. Dammeier pointed to those projects, along with frequent escalator failures at the University of Washington Station, as reason not to increase Rogoff’s pay. Beyond the scrutiny of Rogoff’s temperament, cost of the Lynnwood and Federal Way extensions have each increased $500 million since last year, before any ST3 tunnels are added, Dammeier said. “I am very concerned right now, our process for West Seattle, we are going to add another $700 million to that project. I am concerned our process in Ballard could add another $500 million to the budget,” he said. On the other hand, Rogoff has reminded the board and other politicians several times, in public sessions, to keep affordability in mind, and make hard decisions in time to nominate preferred Seattle corridors in spring 2019. In defending the 11 percent boost, Somers said that considering Rogoff’s missed bonus in 2017, and no bonus decision yet for 2018, the CEO’s pay trajectory isn’t much different from a hypothetical white-collar employee who may have received a simple 5 percent inflation raise for each of the last two years.